Can You Take a Drone on a Plane? Follow These 8 Rules. Before I get started, let me get an old Samuel Jackson joke about that snake movie out of the way. And…done! Let’s talk about drones and airplanes. Can you bring them with you on board when you fly somewhere? Will they be seized by the TSA and whatever other security organization if you try? Should you carry them with you or check them with the other luggage below? What about the rules of countries you’re flying in and/or into? Can they be seized/confiscated and how do you make sure they aren’t? How do you ensure maximum safety and no problems in general with this stuff? Generally, airlines in most western countries are pretty open about taking drones, but on the off chance that something may happen or questions may be raised, check your exact airlines rules and if it’s not listed on their website, call them up. Also if you live outside the U.S and you have a security to go through, check with them as well to be sure. The key is to really be a good, safety concerned citizen and if the airline and security at the airport sees you followed all the regulations (which there are a few off), there will be less chances you have problems when getting on board. In fact, as drones become more and more popular to bring on trips, security people at airports are getting more and used to seeing them. 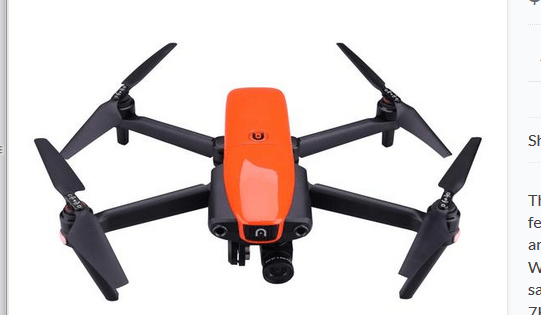 2) You have the option to bring your drone as a carry on, or check it with your bag. I personally would prefer to bring it on board. If you have an expensive model, the last thing I want is for it to be in a bag that gets tossed with the other luggage. 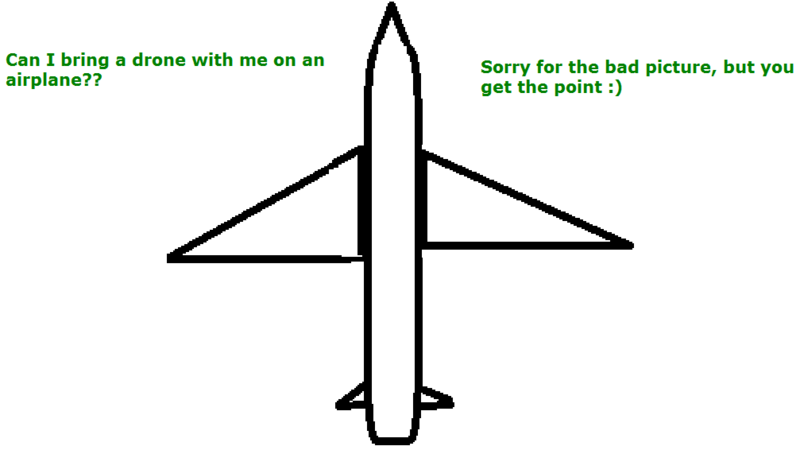 Provided you are taking an airplane that has enough space for your model to be fit into the overhead storage, you should be fine, but if it’s a large one, check with the airline to see which plane you’ll be flying in and if there’s enough space to put it on. Generally, most models (absent the Inspire and other similarly sized models which are HUGE) themselves are small enough to fit into the overhead storage, BUT because they should be put into a bag that protects them, that would make the whole thing a lot larger, possibly too large to fit into the overhead storage. 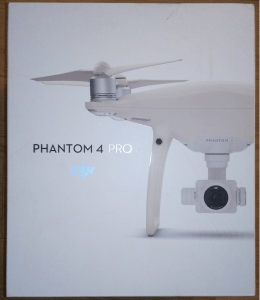 For example: The Phantom 4 Pro. Try to get a case for your drone that’s both good enough to protect it and small enough to be put into the overhead storage if need be. As I recommended, check with your airline to see if there’s enough space. From what I have heard, Southwest and Jet Blue are pretty good about this. But even so, let them know and ask them just in case. Note: I am uncertain about weight limits that are allowed, but most of the mainstream models should be fine. Check with the airline JUST in case. 5) Your model’s lipo batteries absolutely must be brought as a carry on, no exceptions. Be taken with you on board. You cannot check them with your bag (the drone model yes, the batteries, no). You MUST discharge them to as much as possible. Under 30% or more. That latter rule is just as important. Never bring a FULLY charged or 40% or above charged battery on board. 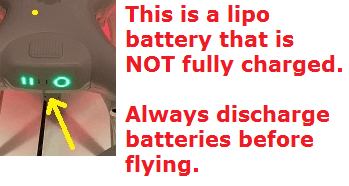 The thing that makes this rule SO important is that lipo batteries are VERY susceptible to cabin pressure. This means that if they are charged enough, stored in the actual baggage area of the plane and the cabin pressure drops quickly enough for whatever reason, they can explode. This is why they need to be brought as a carry on, because the cabin pressure there is stable. People, it’s a flight we’re talking about here, where everyone’s safety is on the line, so do NOT play around with this. Discharge the battery at ALL costs. Otherwise, you will not be let on the plane. Take the battery OUT of the model and whatever batteries you are bringing (that should ALL be discharged as much as possible) and put them in a special lipo bag like this (right). 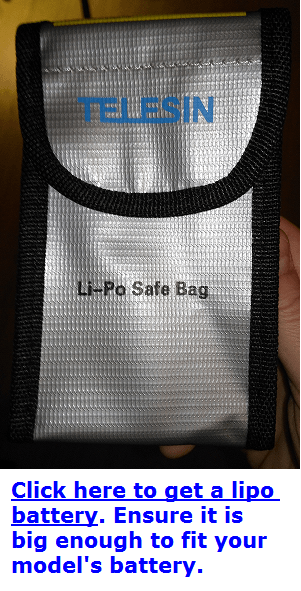 This ensures that even if on the off chance something happens and they act up, the lipo bag seals anything that will happen, meaning the flight will be even safer. 7) Check with the country you’re going to so that they do not seize your model. Within several countries, such as the U.S and I believe Canada, you should not have issues bringing in a drone, but if you fly into a country which has very strict drone laws, you MAY face a custom import tax, a seizure of the model and may even have pay a HEFTY fine or possibly even $1,000’s to retrieve your model. This is NO joke, it has happened and will happen if you’re not careful. If you’re flying to ANY country outside the U.S, absolutely check with them and ask how they deal with drones and what the protocol is. 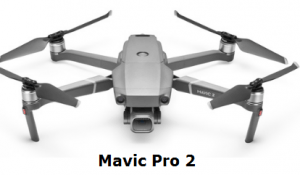 I have seen several YouTube videos on this manner where a person who went to for example, Mexico had their Mavic Pro seized and had to circle around the negotiations to get it back, lest they paid $1,000’s as a fine. Another person who was flying into the Philippines discovered they’d have to pay a fine on the drone prior to even bringing it in, BUT by calling up the airport organization that controls the airspace in the Philippines (In the U.S, we call that the FAA), he discovered that he merely had to request and fill out a special form to be granted permission and avoid paying the fine. 8) Be very polite with security and the airline. Keeping the following rules in mind, go forward with confidence and be polite to security and the airline if they ask you questions. If they see you did your research and are doing your part to make the flight safe, they will be less likely to give you problems and it rarely happens to begin with as UAVs in general are becoming more and more popular to travel with anyway. Don’t be a fool and go into the airport blind on the rules. I imagine wherever you fly to, bringing your model to explore it further is something that gives you joy, but that joy can quickly flip on you if you’re not careful. You are after all flying on a plane and beyond all else, safety is most important. Whoa! I never thought of this. My husband and kids have a total of five drones. We are considering a trip from Canada into Mexico and, naturally, my family thought it would be cool to bring the drones. I’d expected it to be as simple as packing a toy. This is helpful info. Thank you! If any of those 5 drones have lipo batteries, you will have to discharge them and take them on board the plane with you. Great read, definitely didn’t realize some of the complications that might arise when taking a drone on board and aircraft. Kind of a scary thought with the batteries being susceptible to pressure change when charged. Is airline security aware of this threat the batteries posses if not handled properly? If so have you heard of any instances of them not allowing them on board? Yes, airlines have to look for this. If you leave your battery in baggage, it will still go through a check and there are tools security use to identify potentially hazardous materials, which lipo batteries may fall under and if they do find it, they absolutely have the right to open your bag, throw it out or perhaps even kick you off the flight. When you act responsibility and bring them, discharged on the flight, it’s fine and safe, the tips just offer even more safety. I’m glad I came across your article. I’m moving to Hawaii from the mainland and I’m having most of my stuff shipped. I am flying in ahead of my stuff and I want to bring my drone. I want to checkout the property I bought and take some pictures. Anyways, thanks for the info. I will definitely bring my drone with me on my flight. You’re bound to get some crazy footage in Hawaii, hope you have a safe flight and get some great drone shots! Good read. I always like learning something new. Seems like you would definitely want to review this info before going on a plane with a drone. As touchy as the TSA is, you should know your stuff. Let’s be honest though, it most likely increases the chances of the TSA having at least a little panic attack, which makes it completely worth it even if you don’t have a reason to take a drone on an airplane. I’m probably on the majority side of people who don’t enjoy going through TSA lines Jeremy, but when it comes to taking a drone along, I will absolutely do my best to show I am responsible and partaking in their safety guidelines, it will only make the process easier. My girlfriend owns a fashion blog and we were thinking to bring my drone with us on our next vacation in order to do some pretty shots. I had never given thought to the fact that there might be some things we’ll have to take care of before the flight. You saved us from some trouble and pre-flight stress! Check where you’re going and the drone rules there, then if it’s OK to bring it, follow that up with the safety guidelines and enjoy the trip! Drones on planes. Hmmm, who’d have thought. I can understand the concern of all parties concerned. On one hand, if I were traveling to an exotic destination, the drone would be a must have. On the other hand, I would hope that everyone on the flight with me who brought a drone along will have read your article – and heeded every word. Nothing like an exploding drone battery to ruin the vacation of every passenger on your flight. I still think it’s ironic that if I ordered a drone from Amazon, they would send a drone to deliver it. Still trying to wrap my head around this amazing technology! When you order a drone and it’s shipped (flown) to you, the batteries on it arrive with less than 50% energy on it anyway, so believe me, they abide by the same rules I listed. Thank you so much for this information. I never knew there was a protocol when it comes to drones and the batteries. I didn’t know they could explode either. That’s scary to think about when flying though. I hope those TSA agents are on their A-game. I’m definitely going to remember this the next time I go flying. Well it’s not just the TSA working on this, if you accidentally forget or leave your batteries in the bag check, they still go through a security check of their own, so it is best to be transparent when flying with drones to make it easier to get through security.